In this zero upsell, no fluff course, I’m pulling back the curtain to show you exactly how I run my multi-million dollar Self Storage Portfolio so that you can create passive cashflow for yourself. But our world is a bit volatile right now. We’re experiencing political and economic turmoil (and we have for a while). Which means all the “standard” investments aren’t the right way for you to build your retirement income. So what do you do? Do you toss some money into an IRA and hope for the best? Do you buy a couple more rental properties and wear yourself down dealing with crappy tenants who pay late and leave the place a wreck when they leave? Or do you stuff your money in a mattress and stick your head in the sand with a plan to deal with it all “another day”? You know none of those solutions are going to work for you. We’re living longer than ever before, and if you don’t have a solid plan worked out for how you’re going to make retirement income… you’re going to end up with more life than money. And that’s nowhere you want to be. What you need is an investment that performs well in times of crisis. An investment that has some built-in protection for you. An investment with a barrier of entry low enough to make it right for you but high enough to keep out most of the competition. Plainly put, self storage facilities aren’t going anywhere. Now, the trouble is figuring out how to do it, right? There are two ways to buy and operate self-storage facilities: the right way and wrong way. Unfortunately, most books and courses on the self-storage industry focus on the wrong way. The self-storage industry is much more difficult and complicated than it looks. It is more than a bunch of stalls with steel roll-up doors. You cannot run it from a kiosk. It requires some very sophisticated market analysis, coupled with advanced strategy and diligence skills. And, since it has entered an era of professional management, the competition is pretty fierce – you have to have a good mastery of the required skill sets in order to compete effectively. Yes, the rewards are there for those who succeed. There are many investors who have made themselves millionaires many times over through self-storage investments. But there are also many investors who have lost their shirts through buying the wrong facility or poorly managing it. I don’t want you to do things the wrong way. That’s why I’m here. That’s why I’ve written this letter for you. 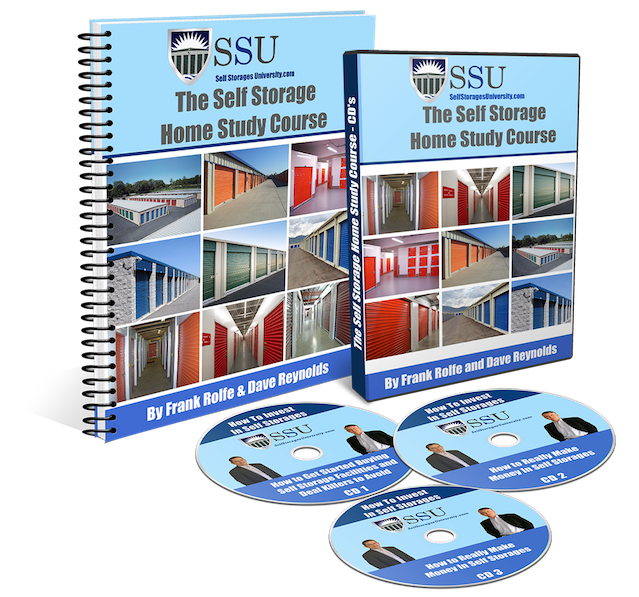 My Self Storage University is exactly what you need to avoid all the pitfalls of the self-storage industry and to begin adding this often overlooked piece to your portfolio. Before I get into that, though, let me introduce myself. 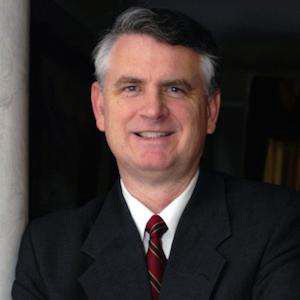 My name is Frank Rolfe and I’ve been a commercial real estate investor for nearly 30 years. My partner, Dave Reynolds and I's real estate portfolio is over $700 million of self-storage facilities, mobile home parks (5th largest owner in the U.S.), billboards (formally the largest private owner in Dallas/Ft Worth), apartments, and RV parks, throughout the U.S.
We developed Self-Storage University to be unlike anything else out there - a comprehensive, no-fluff course that gives you everything you need to know in order to find, purchase and run a profitable self-storage facility. The Big Guns in self storage (and how they got there).. after all, it may be you one day! The most under-used method of finding deals and how you can tap into this market that virtually never gets tired of hearing from you…. As well as resources, links, and charts to help you get a head start on the search! After you’ve found the deal, it’s time to evaluate the value of the precise facility you’re interested in and make an offer! (Of course we’ll give you a chart to help you run your numbers)! And then we’re going to help you negotiate and close the deal the right way… which will lower your stress, keep you professional, and make it easier to find and close deals over and over again. And of course, we’re going to teach you all about financing and how you can get it. This section will quickly become your most referenced section as you begin putting offers out there… but once you’ve closed the deal, you’re going to need to know how to run the place. Sometimes you have a facility that needs some turnaround. And sometimes, you just have to keep things running smoothly and in an upward trajectory. Plus, we’re going to talk to you about marketing your business with both online & offline methods. There are a couple treasure trove opportunities for you to get the word out, and I’ll tell you all about them! As you can see, we’re covering a LOT of information… but we’re not quite done yet. It’s time to talk more about Due Diligence. No other step is as vital to the successful acquisition of a self-storage facility as Due Diligence. No matter how much you know about your market, the P&L statements, daily operations, or any of the other information outlined in the 5 Pillars above… you should NEVER buy a self-storage facility without this Due Diligence Manual to guide you. You cannot afford to miss even one step in the diligence process. If you perform proper due diligence on a property, the odds of you losing money are virtually zero and the odds of your making money are extremely high. Due diligence and success is a mathematical constant like 2 + 2 = 4. The only way that you can make money with a self-storage facility without due diligence is blind luck. That’s more like gambling, and when you gamble the odds are always stacked against you. When you do due diligence, the odds are always stacked in your favor. In this manual, I take you through doing your due diligence in one single month. Each day you will complete between 1-6 tasks, which makes your due diligence easier to manage because it’s broken down into chunks. And of course I’m going to explain each step, give you whatever formulas or scripts or information you need, and make sure you fully understand what it is you need to do to be successful. Like I said earlier: due diligence is the one thing that can make or break you. That’s why it’s so important that this guide is included in Self Storage University. Without it, you’re flying blind. As you can see, this is not just some information that I’ve thrown together and presented as the A-Z guide. This IS the definitive guide on the market to getting started in the self-storage business. Between these two manuals, there are 338 pages of information, checklists, samples, scripts, examples, formulas, cheat sheets, plans and resources for you to use in your business. What you won’t find is any sales material for any other courses. Self Storage University is NOT designed to upsell you into anything else, unlike most of the other stuff out there on the market. We didn’t leave out any crucial information in hopes that you’ll give us more money later. "We have many investors come to us wanting to find a lender for their self-storage deals, only to find out that their "dream" deal is really a "nightmare" based on the way they've analyzed and structured it. I'm glad that someone has finally brought out the real, 100% pure information that everyone needs to find, negotiate and manage a deal correctly. It's certainly going to make my life easier." Gentleman, "Let me just start by saying well done. It's hard to gauge the amount of trepidation I had prior coming to San Francisco. My greatest fear is that the gathering would be typical, and thereby forgettable. You know the type; some carby burn-out pacing the stage and pontification about what to do when your cheese gets moved...uugghh. However, I can say unequivocally, that this is the very best boot camp style gathering that I have ever attended. I actually gave this type of thing up some years ago because the information that can be gleaned from most of them is easily accessed via the internet. Nevertheless, as was the casewith this self-storage event, there is no substitute for an intimate setting with thosethat have been there, done that, and continue to do so." John B. here. Oil field worker and long time reader of your services. I'm happy to say I've purchased a 46 unit storage facility, all 10x10 units plus an acre of land attached with gravel for RV parking, fenced in, with cameras, for $140,000. It's a turn around property, with many over-locks. But I've already sold off a Tractor (nice profit there), some fridges, a generator, a bed, and am closing in with the DOT on selling an abandoned RV. It's in terrible shape, but someone around here with drag it off for $100 or so. My work has just begun, but I'm learning and the property is already cash flowing. The tenants are happy I'm around as the old owners disappeared years ago and left the property in dis-repair. Now, I could easily charge thousands of dollars for this information. After all, think about what it will do for your income when you’re running a successful business (or two, or three, or more…) and it’s nearly 100% passive. Imagine what your life will be like when you get to think about retirement withOUT feeling drained or anxious or worried. Imagine retiring early because you’ve got the income to travel like you’ve always wanted. And so because of that, I’m including two SUCCESS BOOSTER Bonuses to help you be even more successful. These two audios are going to give you some basics that are taught in the manual… but instead of reading the information, you’re going to be able to load these up to your computer, phone, or mp3 player and listen on the go. What if you could spend your commute or workout listening to me talk in a very casual way about some of the biggest things you’re going to need to know out of the entire Self Storage University? These audios could easily sell for $197, but they’re yours FREE with Self Storage University. Even though I’m giving you samples and checklists and resources throughout the 338 pages of manuals that I’ve already told you about… I’m also going to give you some separate, editable files that you can use to prep your deals and run your business. Whenever you need to use one of these, simply open it on your computer and it’s 100% customizable. If you were to get the 4 contracts from an attorney, you could easily pay a thousand dollars or more in legal fees. But all 6 documents are yours 100% FREE with Self Storage University. I fully believe that entrepreneurs and business owners are the backbone of the American economy. Whether you own a single self-storage facility or it’s the stepping stone to a booming real estate empire, it’s people just like you that are keeping communities running by creating jobs and wealth. That means you can have access to the entire Self Storage University Course AND the 2 Success Booster Bonuses for just one easy payment of $497 or you can take advantage of our No Extra Charge 3 Payment Plan. Look, I’m not promising that it will be easy. If it was, the market would be flooded with people owning storage facilities and we’d see one on every corner of the United States. But I do know how much money is out there just waiting for you to take it. I know how profitable these investments are - after all, I own over several facilities myself. Are you ready to take the rest of your life by the horns and see exactly what you can do when income is no longer an issue? Are you ready to finally have an investment in your portfolio that gives you peace of mind and GROWS for you? If you’re ready to stop worrying about how you’re going to increase your passive income and START living the dream… then Self Storage University is the exact right step for you. Just click the big orange button below, fill out your information, and you’ll be immediately taken to the download area where you can get your resources. No Extra Charge 3 Payment Option Available! You can't afford to start investing without all tools this course provides! It will save you countless dollars in mistakes, legal fees and learning curve!